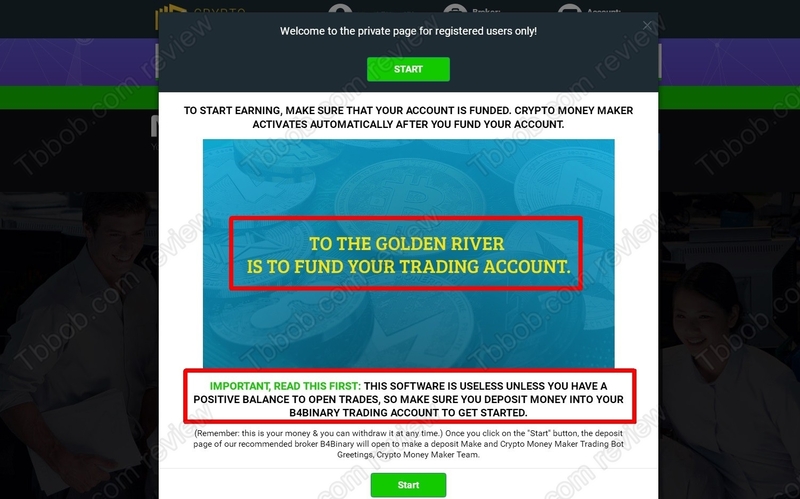 This review contains proofs that Crypto Moneymaker is a scam. It is presented by Jordan Wood. Wood claims that Crypto Moneymaker is an automated software that is trading with cryptocurrencies. His software is allegedly very profitable and can make you $1,350 per day. And Wood is willing to give you his software for free, so can you really become rich for free? The truth is that Wood is a liar, a scammer. 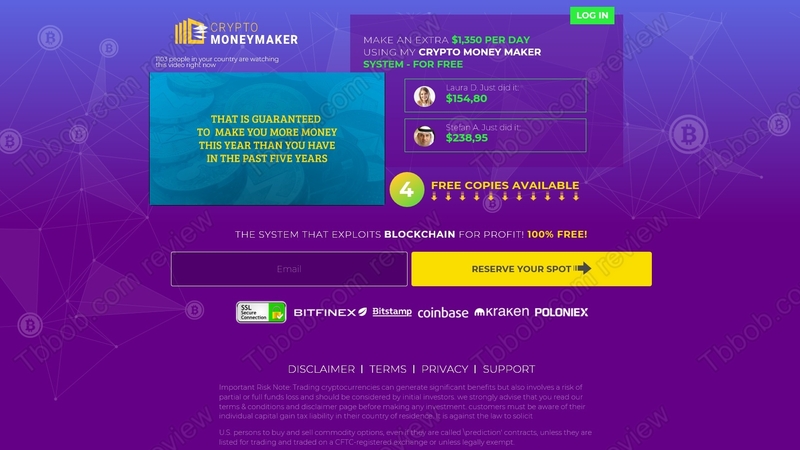 Crypto Moneymaker is a scam that is not even free, you will have to pay and lose your own money. Jordan Wood is in fact a fictitious character created by scammers. This person simply does not exist and it is easy to prove. We checked the German version of the Crypto Moneymaker video and we found that the exact same story with the exact same bank account statements is told by Holz von Jordan, see the proof on our picture. This proves that none of these names is real. Another fake thing on the Crypto Money Maker website are testimonials. They were made with stock photos, the people you see on the pictures are not real users of the system. See our picture to see the proof. The funny thing is that scammers even gave two different names to the same face on their own website! You see, Crypto Moneymaker is not free. After registering you will be told that you have to deposit money with a certain broker, otherwise the software won’t be activated. By the way, the broker you will be pushed to deposit with is MaxCFD and it is not regulated. If you really deposit to activate Crypto Moneymaker, the software will then use your money to trade and lose. Your deposit will quickly disappear and you will never see it again. And what’s in this for the scammers who run this program? They are getting paid by the broker for referring new depositors, this is how they earn money. This is why you will have to deposit first, they cannot let you discover that the software is a piece of crap before they get their commission. 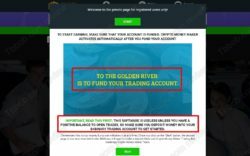 Crypto Moneymaker is a simple scam that is not free, it will require your money and lose it in trading. Stay away from it! If you really want to try crypto trading, do it risk free on a demo account with a regulated broker. On the demo you will see if you are able to learn to trade profitably.